Recently introduced, the new T-Sano model from Netzsch’s Tornado family of rotary lobe pumps is designed so that no dust or dirt can settle on its smooth housing. To ensure that no dust can accumulate, the housing design removes any avoidable edges, dead spaces or crevices. NETZSCH Pumpen & Systeme GmbH experts in solutions designed specifically for difficult pumping applications, announces the new N.Mac® Twin Shaft Grinder, designed to protect pumps and processes. Another component was added to the product portfolio of the NEMO® progressing cavity pump from NETZSCH Pumpen & Systeme GmbH in Waldkraiburg: the xLC® unit. 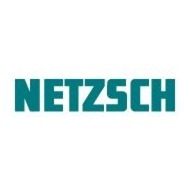 NETZSCH at the Hannover Fair 2018 - The Hannover Messe is the world's leading trade fair for industry. NETZSCH is again part of Anuga FoodTec, the trade fair for food production. We present our wide range of hygienic pumps and barrel emptying systems optimally designed for the high requirements of food and beverage industry. “Smooth design of TORNADO® rotary lobe T.Sano®” means a completely smooth housing which attracts barely any dirt or dust. What is particularly important in the oil sector – even more important than efficiency – is the flexibility that displacement pumps provide when it comes to the viscosity of the medium. NETZSCH presents the NEMO® FSIP® pump alongside its biogas range at the Agritechnica 2017 trade fair in Hanover. The new design of the TORNADO® rotary lobe T.Sano® has a completely smooth housing compared to the previous model, which attracts barely any dirt or dust. NETZSCH Pumps & Systems is exhibiting its displacement pumps at the Hannover Messe from 24 - 28 April 2017. The company has recently added the multi screw pump to its global portfolio in addition to the progressing cavity and rotary lobe pump. NEMO® Progressing Cavity Pumps in FSIP® design can be used in any area of industry where a great variety of different substances must be pumped or very precisely dosed. The family of NOTOS Multi Screw Pump (MSP) has a superior quality to meet the demands of high standards of our customers. Having the NETZSCH High Efficiency Unique Design (HEUD), the multiple screw pump covers a wide range of applications.